It's time to take a dive into creating an effective content marketing strategy – you won't regret it. This might be a personal content marketing strategy for you and your own goals, or it might be a firm wide approach to content marketing. Unless you've been living in a cave, you're new to your job, or you've simply never investigated marketing concepts before – you have probably heard of content marketing. Before we start working through how to develop a content marketing strategy, let's make sure we're on the same page about exactly what it is. Content marketing is the marketing and business process for creating and distributing relevant and valuable content to attract, acquire, and engage a clearly defined and understood target audience – with the objective of driving profitable customer action. That's right – most people simply say “content marketing is creating content”. the purposes are pointed at a clearly defined and well understood audience – have you clearly defined your audience, or are you trying to write for everyone? That's Great But… do you have a Content Marketing Strategy? I'm not normally a fan of producing useless documented strategies that get put in a drawer after 100 hours of investment and stay there. BUT – if you can develop a proper, functional strategy that gets looked at, reviewed and constantly utilised for your content marketing – then you'll be a far leap beyond your competitors. What most people and firms have is a “bits and pieces” approach to content marketing. time – many people who might say they want to “get into” content marketing simply don't have the time. This is especially the case for professionals like lawyers, accountants, engineers and other services where time is, quite literally, money. aptitude – they don't really know what they're doing, or why. Who – as I mentioned in the definition, you need a clear and accurate definition of your audience as well as a deep understanding of their needs. What – what are you going to do in order to achieve the goals you set for the audience you have identified – what media will you use, and what content will you be developing? Measure – (sorry, I couldn't figure out how to make this say “when” and still be accurate) – if you've defined the Why of your content marketing strategy then you need to measure it – otherwise how will you know if you need to pivot in your strategy? Part 1 – Why does your Content Marketing Strategy Exist? Content marketing isn't just a lark to get involved in because it sounds like a bit of fun. If you just want to write stuff, then jump on to Medium or LinkedIn and start writing – you don't need a strategy to do that. Content marketing is different, in that it requires a specific, identifiable business goal. have not communicated that strategy to the people who are producing their content. That makes no sense, right? Let's say you're a law firm and your 100 professional staff produce 7 articles a week each of which take around 1 hour to produce. That's 7 hours a week at, say, $300 per hour. My guess is that if any principal of your firm came and asked for an additional $110k in their marketing budget you'd want to see a plan, right? You want to know what they are looking to achieve, how they're going to do it, and see how A –> B –> C.
So – what is it that you're hoping to achieve with your content marketing strategy? Remember our definition – you want profitable customer action, so that part is a given. But what about the specifics? cost saving (for example, by identifying qualified prospects through subscriber behaviours). I'm sure you've got more – so what are they? Part 2 – Who is your Content Marketing Strategy For? After you finish reading this article, I want you to head over to any blog by lawyers, accountants, engineers or financial planners and read a few articles. You're going to notice something about a lot of them – it's not clear who they are written for. Let's take an example. As a lawyer working in commercial litigation, I know that a lot of my work isn't going to come directly from clients – it's going to be referred to me by a number of different sources. So if I'm going to write an article around a commercial litigation topic, which one of those am I going to be writing for? Most people are going to pick the clients to write for, and that much will be obvious from the headline, topic selection and content of the article. But why? If the majority of my work is NOT coming directly from the clients, will writing for my clients actually meet my goals? What about writing a series for the accountants who are my best referrers? What about delving into the needs that financial advisors have in terms of their clients? The point isn't to NOT pick your clients to write articles for. The point is to think beyond the assumptions you're going to make about targeting, and to be deliberate about it. Most of the time, people only focus on the topic – they aren't writing for anyone in particular, and as a result nobody really resonates with what's being produced. Part 3 – What are you Going to Do? where are your audience hanging out? Of course, you might decide to do a combination of things, or to repurpose your content into different formats. But ideally, at first, you should focus on your strongest media. Where are you going to put it? There's only one good answer here: somewhere that you own. You need a hub of operations, which is almost certainly going to be your website. But beyond that you're going to look at sharing on the appropriate social media channels, and possibly syndicating into different posting platforms (like LinkedIn and Medium, for example) to expand the reach of your content. 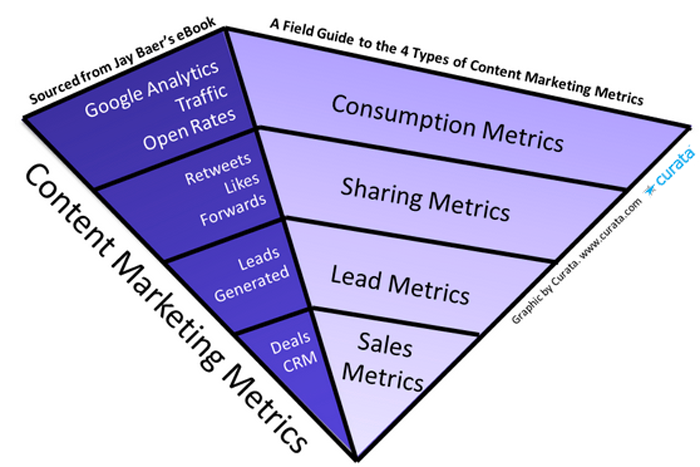 Part 4 – How are you going to Implement your Content Marketing Strategy? For professionals, the absolute most important thing here is to get buy in from the people producing the content. I've worked in law offices for 15 years, and I can say with 100% certainty that the best laid marketing plans will go to hell in a handbasket when a client uses the word “urgent”. And all of a sudden your content strategy has fallen behind. Consistent, meaningful delivery of valuable content is the cornerstone of an effective content marketing strategy. If your authors can't deliver – they either need a rocket fired at them, or you need to find new authors. You set some goals, remember? Now you've got to find out if they are working. What should you measure and how should you measure it? Analytics these days are so sophisticated that it's incredibly difficult for me to give you a comprehensive list of what you should be doing, especially since I don't know what your goals were. Sales – are your qualified leads turning in to customers. So What's your Content Marketing Strategy going to Look Like? There's a lot of info in this article, and it's possible you've just scrolled down to the bottom to see what the point was. An effective content marketing strategy should consider why you're doing it, who you're doing it for, how it's going to be implemented, what you're going to be producing, and it should measure your success or otherwise along the way. So here's my question for you: what's YOUR content marketing strategy for 2017?